Marchesoni seeks continuous evolution in its manufacturing process and counts on the partnership with its distributers in order to do so. 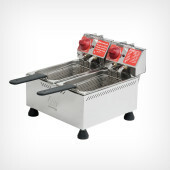 This evolution is evident in its frying products that are certified by Inmetro. 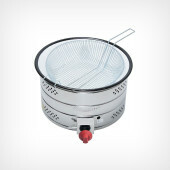 They have a modern appearance, bakelite protection for strainers, individual lids and safety thermostat for all models. 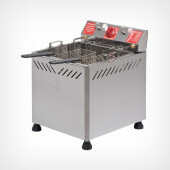 The Water and Oil model has an incomparable structure and stands out on account of its robustness. This product line has removable bowls and heads that make cleaning and maintenance easier.